8 Leased units, Three are Business Leases and 5 are Trailers leased. 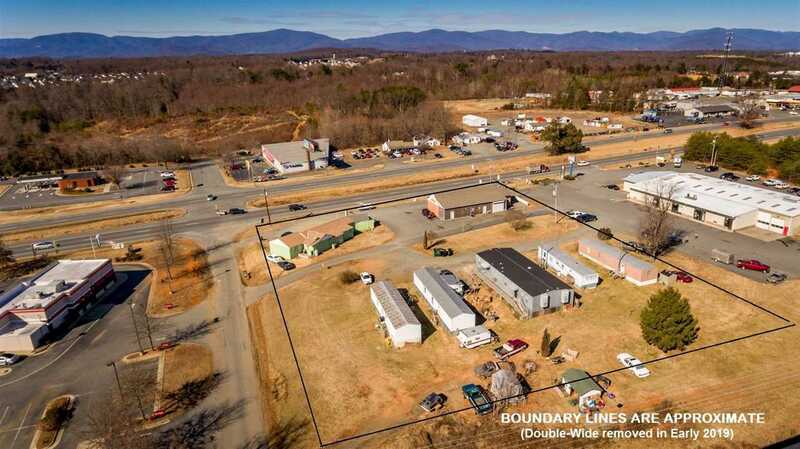 Don't miss this great opportunity to own over 2 acres of Prime Commercial Land fronting on U.S. Rt. 29 North/Seminole Trail zoned for Business. The current use is with two buildings and 5 rental trailers generating income. Current Businesses are "Lights Out", lighting company (also does cabinetry), "Heritage Memorial Sales Center", grave monuments/sites, "Mexi Mart" - a convenience and variety store. Leases are in place on front two buildings, Trailers can be moved off site for development or expansion.